Nicki Walsh, Programme Leader in Health and Social Care at BGU, in collaboration with Terry Vine, Deputy Chief Nurse at Lincolnshire West CCG, set up the forum, which met for the first time this week. The forum’s vision is to promote knowledge exchange around best practice, to provide regular and relevant educational updates and as a means of peer support. The forum came about in response to current pressures on health and social care systems. As more people live longer, they are living with long-term conditions (LTCs) such as diabetes, respiratory disease, cardiovascular disease and musclo-skeletal disorders such as arthritis. As understanding of these diseases improves, life expectancy increases. Dr Graham Basten, Head of School of Social Science at BGU, delivered the first keynote speech exploring the effective utility and interpretation of blood results. The speech was followed by a floor discussion, which looked at how the forum should be utilised and how key partners can facilitate this. 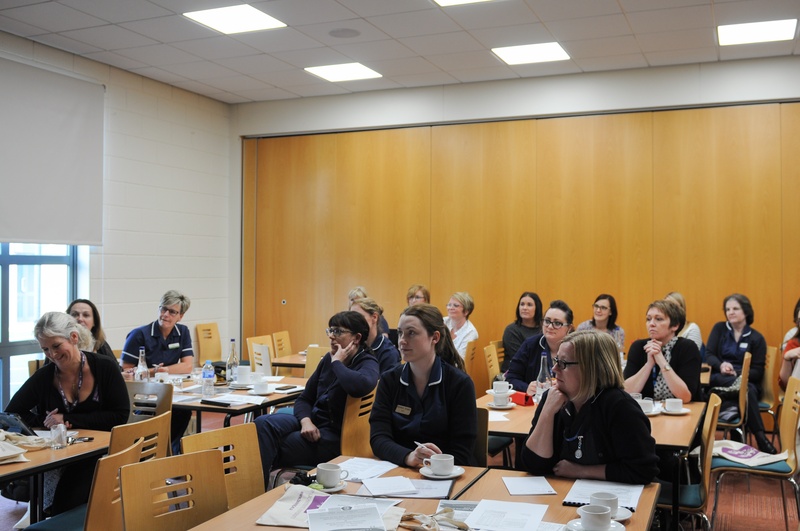 Further ideas for future forums were collated as well as an opportunity for nurses to discuss general working practices within their settings. Nicki Walsh said, “There is an absolute need for safe, effective, evidence based provision, which is achieved by ensuring that those providing care have the appropriate knowledge and skills for their area of clinical delivery. Bishop Grosseteste University (BGU) is the top TEF Gold Rated University in the UK for widening participation in higher education.